How Should A Woman’s Investment Portfolio Look When She Turns 30? If you haven't invested by the time you're 30, better now than never! Ladies, if you have just turned 30, it’s a good time to sit down and take stock of your investment portfolio. Though you may have settled into your career well by now, striking a good balance between what you spend and what you save is important. Investing in your 30s is crucial to financial freedom later on in life! Thirty is an ideal juncture at which to prepare yourself for the coming decades and ensure you have a solid foundation for your investments. “In her 20s, she has just started earning. This is a period of self-growth and fewer responsibilities. Her 40s is the time when her earning potential is usually at its peak. So, start small and as you approach your 30s, gradually increase the percentage of earnings that you invest,” says financial consultant Anima Jaiswal. “There are many cultural taboos around money and almost all of them work against women. Women who are financially secure stare down these taboos and get with the money program early, they invest in different assets and they always have emergency money. They do their own investing or actively participate with a partner. They also understand the difference between gambling and long-term returns. They understand the destructive force of inflation and they plan their finances to account for it,” says Andrea Kennedy, financial educator independent wealth strategist, and Author of Own Your Financial Freedom. What should a 30-year old woman invest in? Recent studies have shown that as compared to men, women in Singapore are far more reluctant to invest their money and they take fewer risks. To start with, it is important to understand how various forms of investment work and decide what your investment goals are. “Ideally consulting a Chartered Financial Consultant would help chart her life goals and then quantify them, keeping in view inflation and rate of returns. This enables her to plan for family commitments, children’s education, retirement and beyond. She can then be guided to save towards various goals and to safeguard her investments,” says Jaiswal. Real estate: Look at owning your home. In a country where over 90% of us own homes, this is a no-brainer. Whether it is to live, or as an investment, buying a home (or saving to buy one) should be on the 30s bucket-list. So, apply for a Build-To-Order flat or consider buying an HDB on the resale market. Securities and derivatives: Here you need to invest in instruments based on your risk appetite and investment goals (short-term and long-term). Exchange-Traded Fund (ETFs): ETFs are open-ended investment funds, traded on the stock exchange, that allows you to buy basket of stocks, instead of investing in stocks of one single company. If you are new to investing, this is a good option to explore. Health Insurance: Women live longer. We all know that. Reason why health insurance is something that you need to take care of before you finish this decade. It will end up being cheaper, ensuring healthcare is way more affordable when you are older. And yes, you do need a health insurance cover, despite being covered by MediShield and your company’s policy. Experts suggest getting a life insurance as well, if your life stage in your 30s, sees you taking caring of young children (or if you have plans to begin a family later as well). Central Provident Fund (CPF): Andrea Kennedy suggests that topping up your account with voluntary contribution is highly advisable. “There are many different avenues and instruments for a woman to consider when investing and the good news is that these are becoming more accessible to the individual investor. It is important to seek expert advice before making any major decisions. Also think about maintaining diversity across your investment portfolio,” says Jessica Robinson, Founder, Managing Director, Moxie Future, a platform that helps women invest. An increasing number of women are now looking to invest in progressive, sustainable businesses, thus supporting not just a business but also moving towards a better world. “For the women Moxie Future engages with, the sustainability and non-financial impact of investment decisions are really important. So, understanding how this can fit into longer-term saving is important. Women should try to find a balance between saving but also getting the most out of life today. There are loads of fantastic websites that can help with saving tips, budgets and so much more. But I think the really important thing is to make sure that your savings plan is closely aligned with your values. We see many women who want to ensure that their savings are environmentally and socially positive,” says Robinson. In many households, women are the primary caregivers and often, tend to take a break from their jobs to care for young children or elderly parents. Some women in their 30s may want to pursue higher education or change their line of work. To tide you through this period, you need to plan ahead and account for them when you plan your investment. This is where your emergency fund also becomes important. This should be substantial enough for you to tide over a few months of going without pay. Many women in their 30s are likely to be married or in long-term committed relationships. While few will keep their investments separate from their partners, other might merge savings and make a combined investment plan. Here are somethings you need to keep in mind. If you are also investing along with your partner, be aware of where your money is being invested and who the beneficiaries are. In the event of a divorce, matrimonial assets are divided between the two partners based on several criteria like extent of financial contribution, financial independence, needs of children and so on. These assets include money invested in shares or pensions. This is more reason for women to be actively involved and informed of where and how money is being invested. When getting a life insurance policy, make sure that beneficiaries are added both in your policy as well as your partner’s. This will ensure that in the unfortunate event of death, the transfer of assets is seamless and does not require extra paperwork during a trying time. 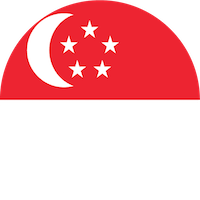 BankBazaar.sg is a leading online marketplace in Singapore that helps consumers compare and apply for financial products such as credit cards and loans. There’s a lot of options open to you! And now that you’re 30, you’re even wiser to make sensible investments! Are you ready to be investing in your 30s? For Investment Newbies: What Is The Stock Market And What Is The Point Of It?